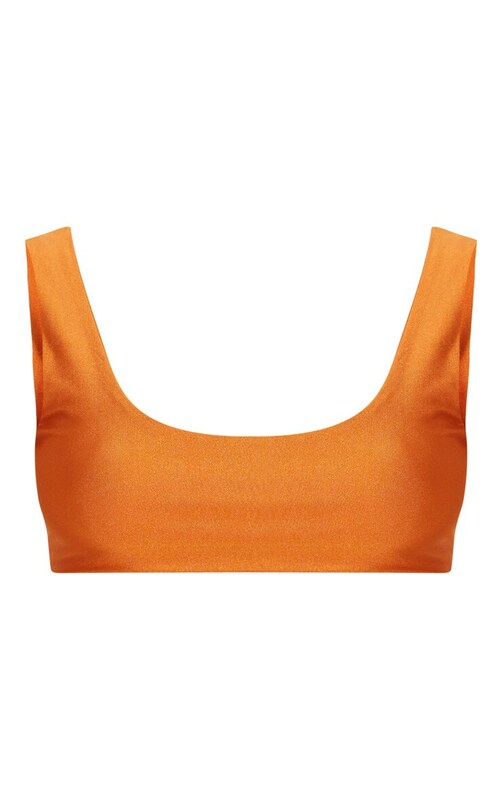 Update your bikini collection with this rust bikini top. Featuring a rust material with a scoop neckline and thick straps. Team this bikini top with the matching bottoms for a look we are loving.